A very peated, un-chillfiltered whisky that blends the great distilleries of Islay! This Scotch Blended Malt is a creation of the Laing Brothers (Scottish Independent Bottlers) that epitomizes the Isle of Islay. 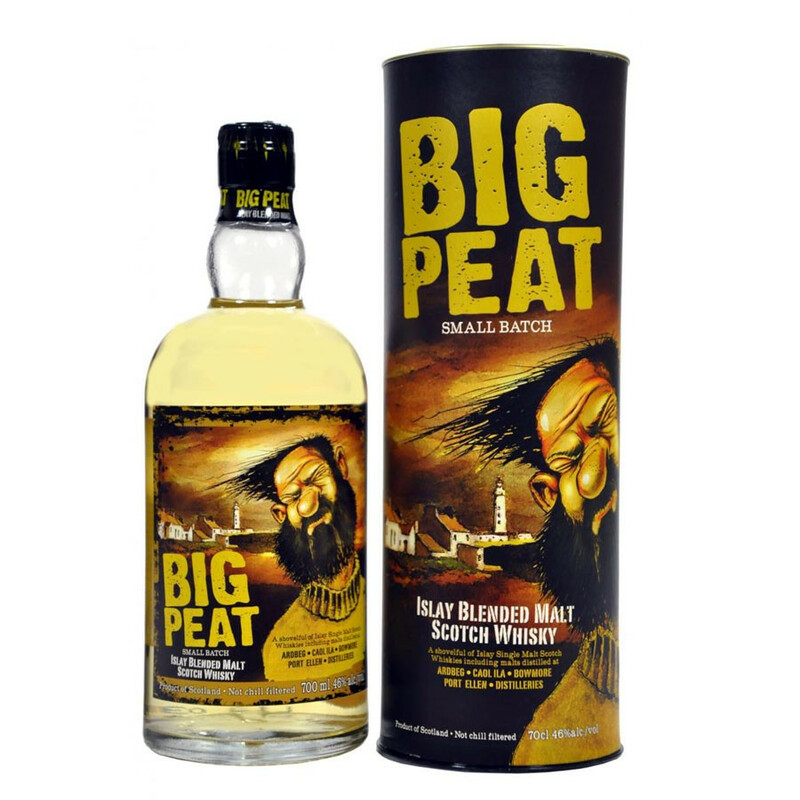 Big Peat mastered both a rigorous selection of characterful malts from Islay including: Bowmore, Caol Ila, Ardbeg and the very rare Port Ellen (as the distillery closed in 1983) with two other malts from the Southern part of the Island that are Douglas Laing's secret. 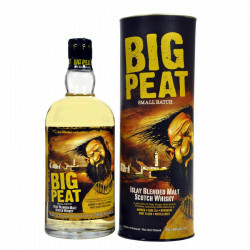 The result shows a powerful, complex peaty character with maritime and smoky flavours. This malt is un-chillfiltered to keep a perfect whisky quality and fully express all its aromas. This is a small batch of 5000 bottles per bottling. This product will match the taste of peated whisky lovers. It picked the Best Scotch Pure Malt Award at the World Wiskies Awards in 2010 and received an excellent mark of 96/100 in jim Murray's Whisky Bible. The packaging displays the famous humourous drawing which pays a special tribute to Islay locals. Nose: liquorice, with notes of exctint chimney fire and ashes. Palate: a profusion of peat, with a Eucalyptus and menthol overlay. Finish: lingering and smoky with an herbal touch. Best Pure Malt Scotch Whisky, World Whiskies Awards 2010.